A previous post detailed a simple worm bin that can be made out of recycled materials and kept right inside your home. But not everyone wants to take care of worms or have them in the house, in spite of the benefits gained through recycling kitchen scraps and producing a wonderful plant fertilizer in the process. Even gardeners who are committed to making and using worm castings may find it challenging to produce enough castings to supply all their gardening needs. 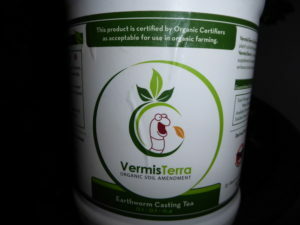 Fortunately VermisTerra by JL Organics LLC is now supplying earthworm castings and teas that allows everyone access to the great benefits that worms have to offer the soil, and research at Cornell University even shows that earthworm castings can suppress plant disease and regulate nutrients. 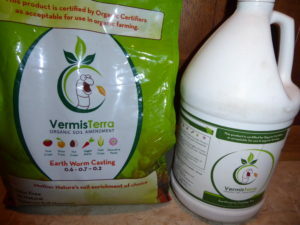 VermisTerra offers pure earthworm castings in a dry form that can be mixed with seed starting or potting mixes, be applied as a side dressing around plants in the garden and containers, or be added to growing beds along with or in place of compost and other organic amendments and fertilizers prior to planting. 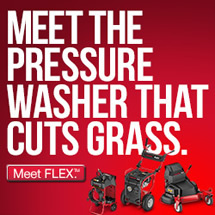 Also in their product lineup is a stabilized compost tea that is diluted in water and then sprayed onto the garden with a sprayer, via watering cans, or through irrigation systems. The VermisTerra castings seem to have a finer texture than other castings that I have used, and they are very clean, and easy to handle and apply. I used them both as a stand-alone amendment and in combination with other powdered or granular organic fertilizers. As a side dressing I spread the castings around the base of my veggie plants and then scratched it lightly into the surface of the soil layer. VermisTerra earthworm casting tea is easy to apply, you simply mix it with water and then feed and condition your soil at the same time that you are watering the plants in your garden. Like with the castings, I used the tea separately, as well as in combination with other organic amendments. 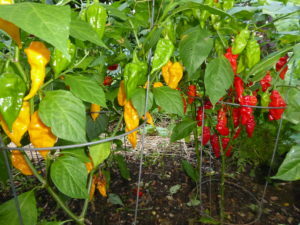 JL Organics does not recommend adding raw materials directly into your soil as it can cause a burn or nutrient lockout. However in your garden, you can experiment with what works for you. Liquid foliars that I used with the casting tea included; seaweed, fish emulsion, and even powered water-soluble organic fertilizers. Once mixed with water, it is best to use the tea mix within a couple of hours. VermisTerra tea differs from compost tea because it will not become anaerobic. Also, buying this pre-made tea can save time over brewing your own compost tea and maintain a quality, consistency, and high standard. The casting tea is a concentrate of dormant microbes that is diluted at a general rate of three ounces per gallon of water. Up to six ounces per gallon is recommended for fruits and vegetables. VermisTerra is not chemical fertilizer so the tea doesn’t burn even when applied during blooming and fruiting. The castings are odorless, and along with the tea, are loaded with beneficial bacteria and fungi, which are important for optimum soil health, resulting in improved plant health and growth. 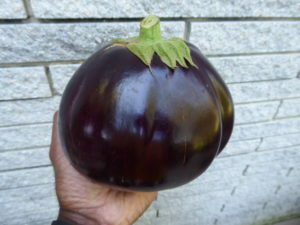 A few crops that I focused on with the application of the castings and tea in my garden this past season were eggplants, ginger, and peppers; and the results were great. I did not do any type of control and can’t claim that the results were due solely to the castings and tea, but this was the best crop of eggplants that I have ever seen in terms of the size and health of the plants and the fruit production from the peppers was incredible as well. Next season I’m planning to conduct my own backyard trials with controls to better isolate the results. But in the meantime I’ll trust the experience that I had with the crops in last summer’s garden and will continue using the VermisTerra products. For more scientific results here is a link to a recent NPR article that explored some of the benefits of worm castings; The Power of Worm Poop. I’ve read from other reports that earthworm castings are great for improving seed germination and for helping to promote the health of young seedlings. Castings can be applied at any time during the growth cycle without the risk of burning young plants or roots. And a little does go a long way, making the use very economical. Heavy feeders and specific crops such as ginger and turmeric that respond well to increased levels of soil microbes will also especially benefit from the application of worm castings. My personal tips and recommendations include using distilled, well, spring, or rainwater when mixing up a batch of the tea. It just seems intuitive to avoid mixing the tea in treated water that contains chemicals like chlorine, which are intended to kill microorganisms, since that is a major component and aspect of using worm castings in the first place. I always use water from my pond or rain barrels to dilute and apply materials that contain living biology of any type. When applying compost or worm teas I make it a point to spread the finished tea over the plant foliage as well as the soil since I have heard from one soil scientist that the microbes provide benefits and protection above ground to the plant’s leaf matter in addition to working within the soil itself. In the case of worm castings I prefer to apply them just before or after a light rain if possible in order to help the organisms become established without drying out too quickly. I also apply teas and castings during the early morning hours or in the evening when temperatures are milder. The VermisTerra products work great on houseplants and patio plants in containers also. These environments may be in even more need for the increased soil microorganisms that castings and teas provide. The team at VermisTerra takes the extra step of getting certified with the USDA and CDFA. This makes their earthworm castings and nutrient tea certified organic for your farm or garden. 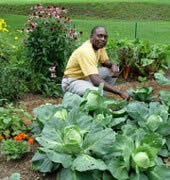 And you can be confident that you’re not adding any toxins or heavy metals into your garden. VermisTerra products are also lab tested to ensure they are free of pathogens so your garden receives only beneficial microbes, and not those that will cause disease. So if you are looking to give your soil, plants, and garden a boost consider trying out VermisTerra’s worm castings or worm teas as a convenient and easy amendment that is natural, safe, and compatible with other organic fertilizers and soil conditioners. Disclosure: This article is a sponsored post and I have been compensated for trying out the VermisTerra worm castings and teas and then afterward sharing my honest impressions of the products and the results that I saw. This tips are priceless. It is always a relief when you see the personal opinion of somebody who has tested that kind of product. Excellent tips and ones that I would like to implement myself. I totally agree, chemicals are not good when consumed, go organic. I tried this process and it totally works! Many thanks to this article. Earthworms will help your plants grow faster and healthier, this product covers it all. Very informative! Nice tips in using this product, I’m looking forward to try this one. Let me try this now. 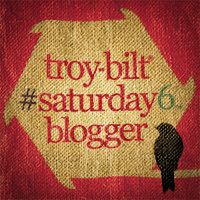 Great blog you get there! This is great information for boosting soil and plants. I believe that this product is also safe and natural. There are many reasons for why some plants don’t grow properly. This content answered all the questions I have in curing a soil. 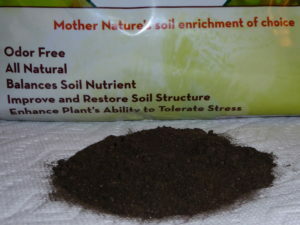 Remove toxins from the soil, by using this product I’m sure planting will be easy.